Funny thing is, you can't take your Pan Am bag on a Pan Am flight because the airline itself hasn't existed for 25 years. The fact that a brand's logo remains so popular long after the brand has vanished is a testament, of course, to the power of branding. And in the case of Pan American World Airways, that branding wasn't just effective, it was decades ahead of its time. 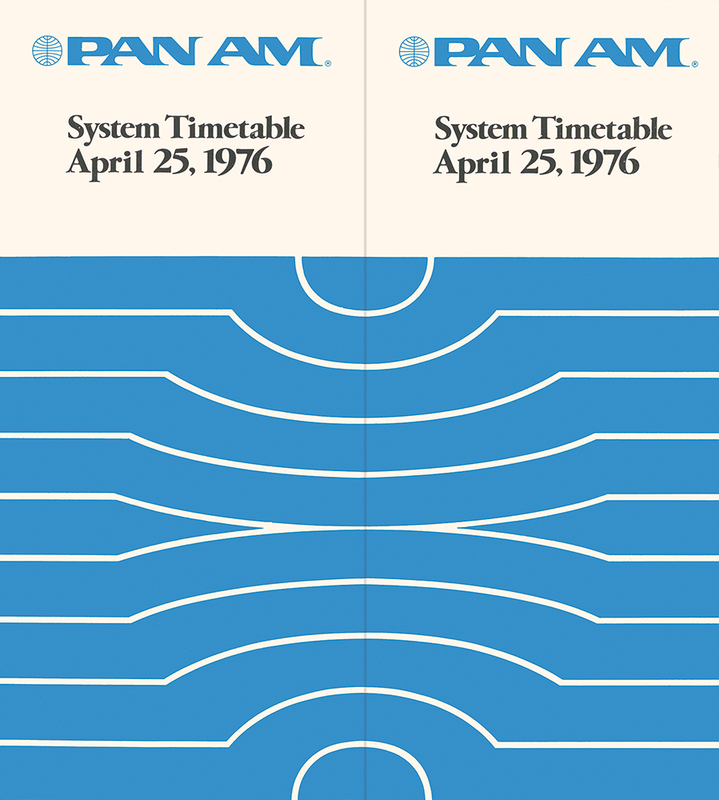 In his new book, Pan Am: History, Design & Identity, author Matthias Hühne recounts the development of the once-mighty carrier's visual identity, and reproduces some of its most powerful brand assets in this 432-page volume. For those too young to recall its Mad Men-esque heyday, Pan Am was the world's premier airline—the first American-flagged carrier to offer international routes and fly the 747. But these and other corporate feats have been covered in earlier books. Hühne's effort is unique for focusing specifically on branding (in particular, Pan Am's exotic travel posters and advertisements) that won the airline a place in the public consciousness. "What Pan Am did was unique in the airline industry," Hühne said. The globe adopted in 1958 still looked modern in 1976. It was Pan Am's charismatic founder Juan Trippe who worried just as much about the look of his airline as filling seats. "He was a pragmatic person, but he must have personally had some affinity for design," Hühne said. "He knew his customers, and the value of publicity." At Pan Am, Trippe pioneered the concept of consistent visual identity, insisting that every asset that touched the consuming public—from brochures to tickets, employee uniforms to terminal waiting areas—should look part of a whole, and leave the impression of a sleek, confident company at the top of its category. Today, companies like Starbucks and Apple have demonstrated the value of consistent branding. But Pan Am did it first and, according to Simon Thorneycroft, founder of San Francisco firm Perspective: Branding, the airline's visual assets were so effective because they tapped into consumers' psychology. 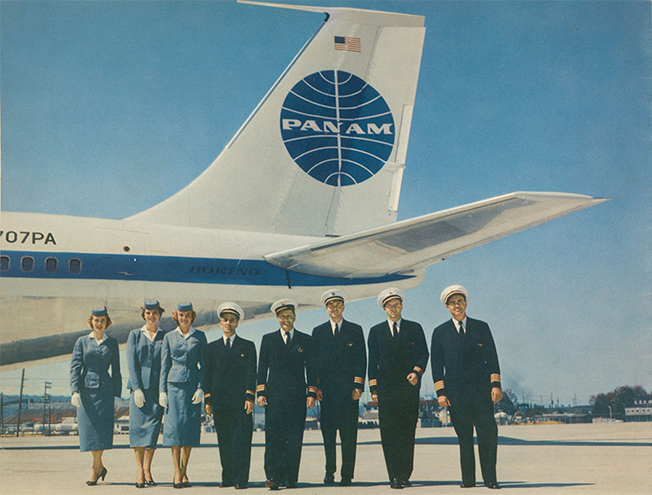 "Pan Am knew that the heart of the brand lies in the emotional promise. There was an emotional promise about the romance of flying, and they replicated that across all touch points," he said. 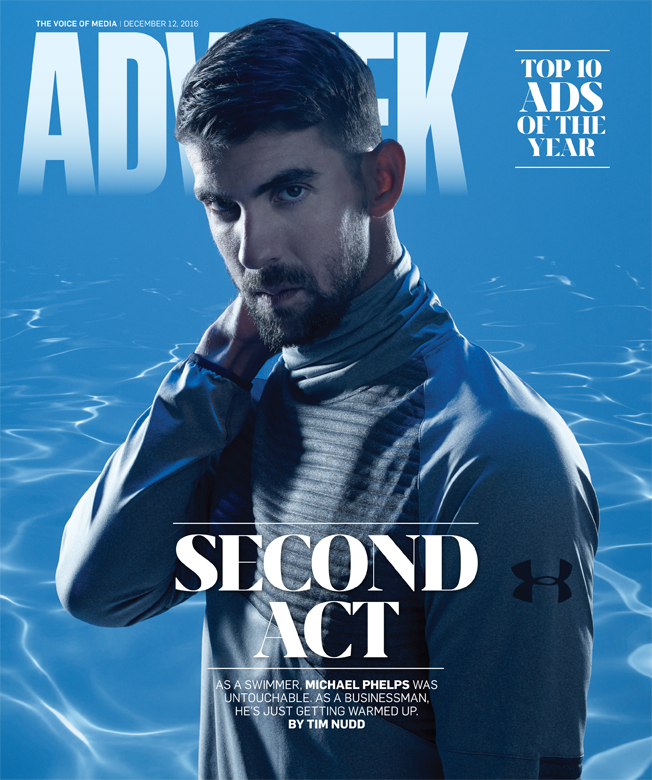 "It was a fundamental part of branding that they got right." 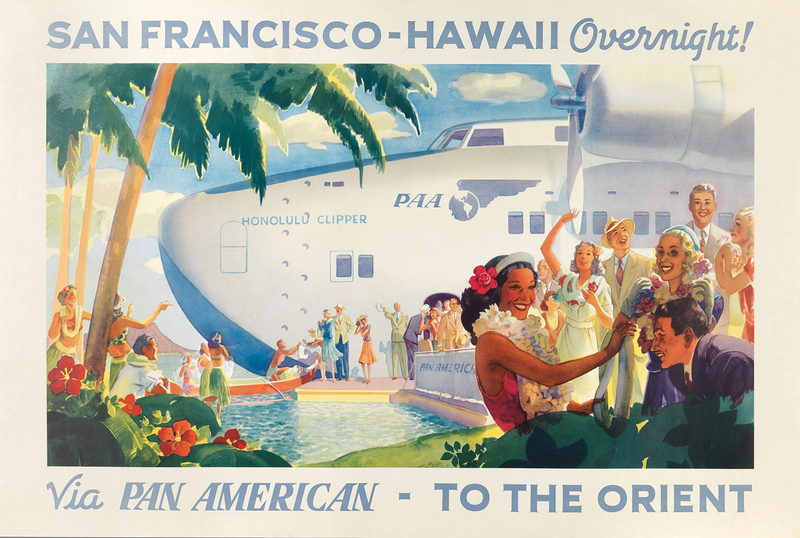 Harnessing the drama of its flying boats, Pan Am pioneered the exotic travel poster of the 1930s. "Once a brand manages to make a deep connection with a consumer, it becomes part of you and culture," added Mark Figliulo, founder and CEO of brand agency Figliulo & Partners. "Pan Am is a perfect example of both a graphic system and a name that managed to become part of culture." As it turned out, the most recognizable pieces of Pan Am's corporate identity—the sky-blue globe and windswept Pan Am logotype developed in 1958 by designer Edward Barnes—met with mixed reviews inside the company, which was slow to adopt the designs. In time, however, they found their way onto everything from luggage tags to tickets to the jets themselves. They remain there, too—at least on the travel bags you can find online. Unfortunately, even the world's best branding wasn't enough to save Pan Am from the era of deregulation. And while some carriers have taken a page from Pan Am's design philosophy—Virgin, Emirates—Hühne observed that airlines can no longer market themselves as Pan Am did in the 1960s. Travelers now are preoccupied with convenience and cost above all else. "Today, the emphasis has changed," said Hühne, "from decoration to price." 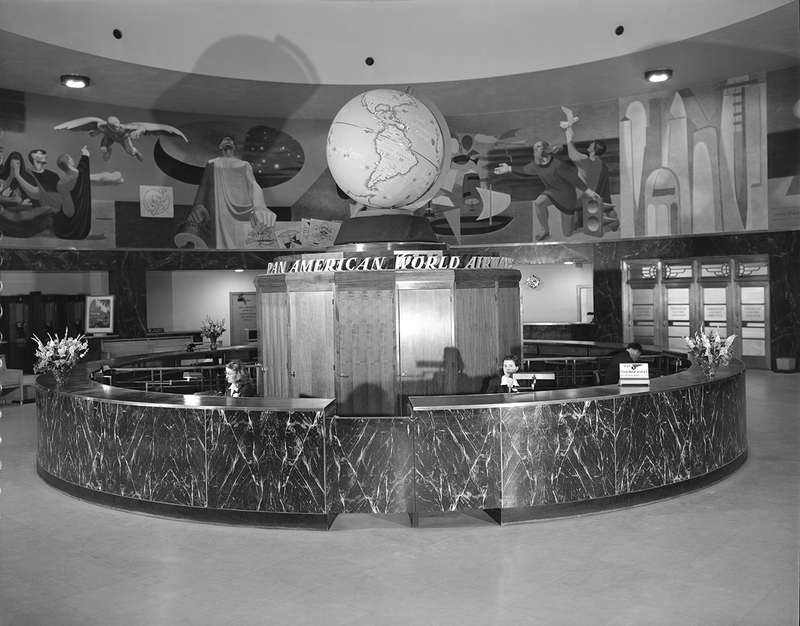 From its earliest days, Pan Am branded everything the public saw, even this New York ticket counter. 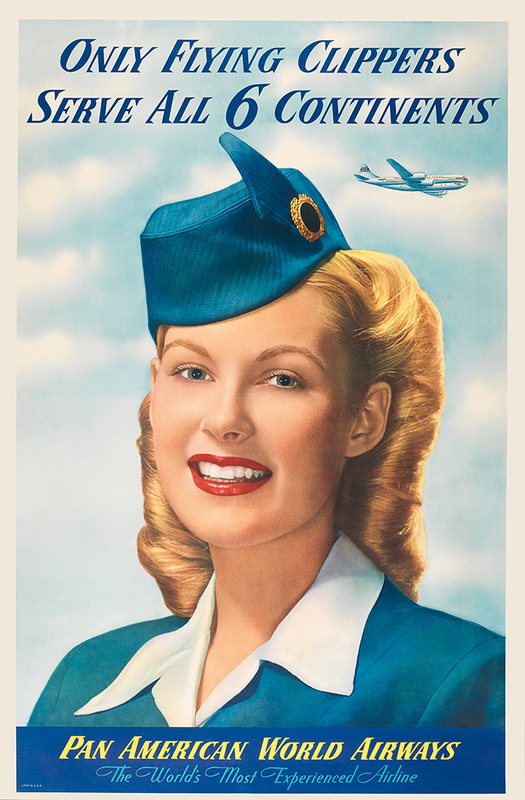 As early as 1950, Pan Am recognized that its flight attendants were central to its brand image. In 1958, Edward Barnes and Charles Forberg created the airline's legendary badge and logo type. 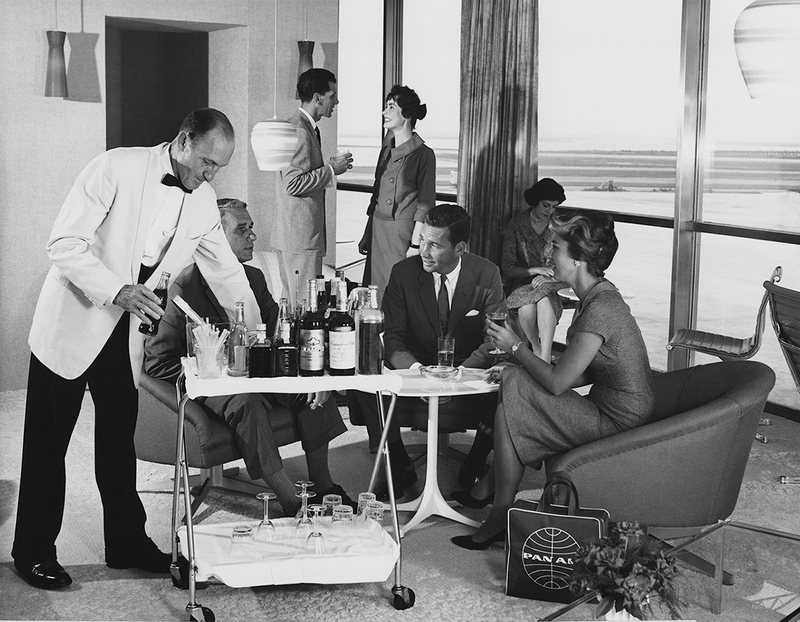 The Pan Am flight experience actually began with cocktails in the terminal lounge (note the tote bag). 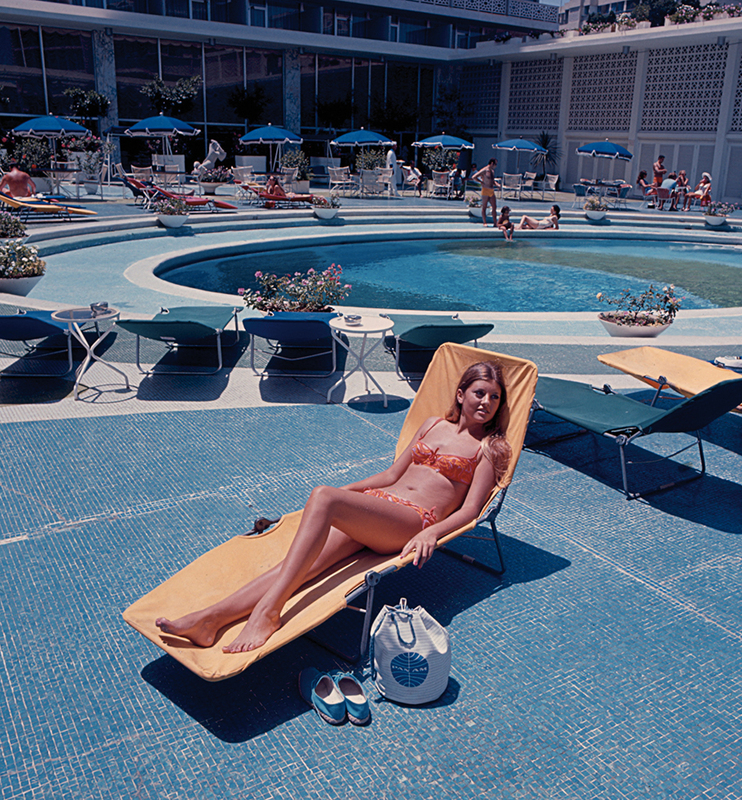 In its 1960s heyday, Pan Am operated its own hotels like Beirut's Phoenicia Intercontinental. Pan Am changed the industry in 1969, when it introduced the 747 (with a blue stripe, natch).